The Real Estate Investment Network (REIN), Canada’s leading independent real estate research organization, ranks Surrey as the #1 City to Invest in BC. REIN’s 2017 Report predicts that Surrey’s Real Estate Market will outperform over the next 5 year period. The Fastest Growing Municipality in B.C. Surrey is undergoing rapid population growth. With approximately 1,000 new residents each month and as one of the most youthful cities in BC (with 1/3rd of the population under the age of 19), the city is expected to grow and surpass Vancouver by 2041 to become BC’s largest city. Infrastructure is being built to handle the new growth and this contributes to rapid urbanization and economic growth. 9 major bus loops or exchanges within Surrey which connects various localities within Surrey. 4 Expo Skytrain stations – King George, Surrey Central, Gateway and Scott Road Station. This allows for rapid transportation to Vancouver, Burnaby and other areas in Metro Vancouver region. Future Light Rail Transit (LRT) system will provide rapid and effective transportation to communities South of Fraser. Surrey is situated near numerous transportation routes where there is access to other cities in the metro Vancouver region; as well as the Trans-Canada Highway and the border crossing. Surrey is connected to the Skytrain Station which makes the area accessible via public transit. Surrey’s real estate is more affordable relative to other areas in the Metro Vancouver region. Both the convenient location of Surrey and the affordability of housing makes the area increasingly attractive and accessible for people wanting to live, work or study here. 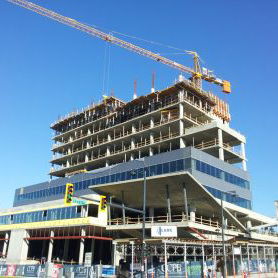 The Surrey City Centre area is rapidly transforming into a walkable, transit-oriented downtown core. Surrey’s skyline has already undergone massive change within the past decade with the construction of the new City Hall, an award winning 75,000 sq ft Downtown Library, and the 3 Civic Plaza, a 52 story mixed-use building. Combined with private developers building apartments, condos and high-rises, the build-out of City Centre is well on it’s way! 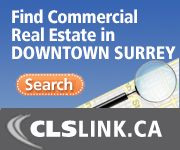 Numerous major future developments are already in progress in Downtown Surrey. 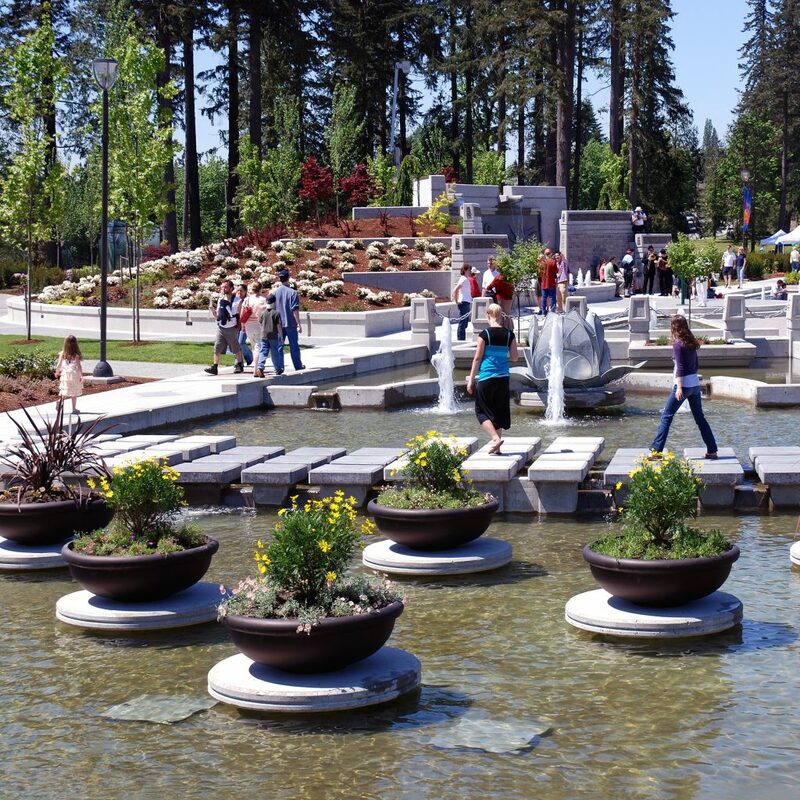 Surrey is now in a critical stage of transition into a flourishing downtown core. Simon Fraser University, which has topped Maclean’s list of comprehensive universities for 9 years the past decade, has a campus located conveniently near the Surrey Central Skytrain station. 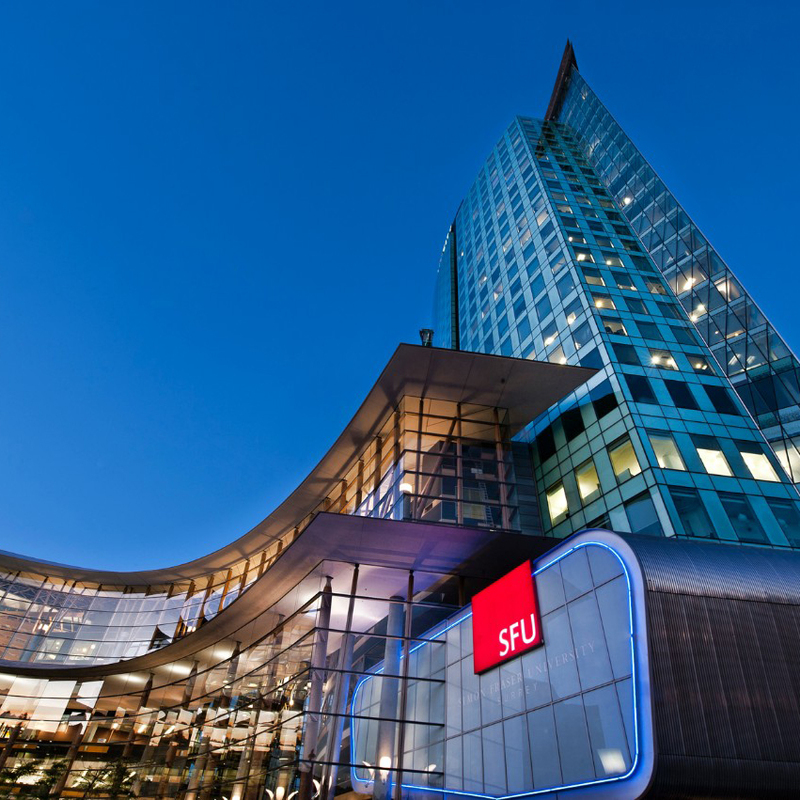 The SFU campus will be expanding in Surrey with the development of the $126 million five storey, 15,000-square-metre facility for the proposed Energy Systems and Environmental Engineering Program at SFU, a stream of engineering focused on clean and sustainable technology. Kwantlen Polytechnic University will expand into Surrey’s Downtown Core with the KPU Civic Plaza. The Health and Technology District and Innovation Boulevard marks the expansion of the Med Tech Industry in Surrey. The Health and Technology District includes a series of high-tech buildings located and under expansion, immediately adjacent to Surrey Memorial Hospital, and is one of BC’s most rapidly growing and dynamic new health tech sector where an abundance of entrepreneurs, start-ups, multinationals, patients, clinicians, and healthcare environments, are co-located, working in partnership to accelerate the implementation of technologies and solutions towards health care impacts and improvements. The Light Rail Transit system will provide high-quality, efficient and sustainable way of transportation to meet future needs for population capacity. Construction is to begin 2019 and will be completed by 2024. The Future LRT System will consist of 2 lines. The Surrey-Newton-Guildford Line which will be along 104 Avenue connecting Surrey City Centre and Guildford Town Centre; and along King George connecting Surrey City Centre and Newton Town Centre. The Surrey-Langley Line will connect the Surrey City Centre, Fleetwood, Clayton and to Langley. 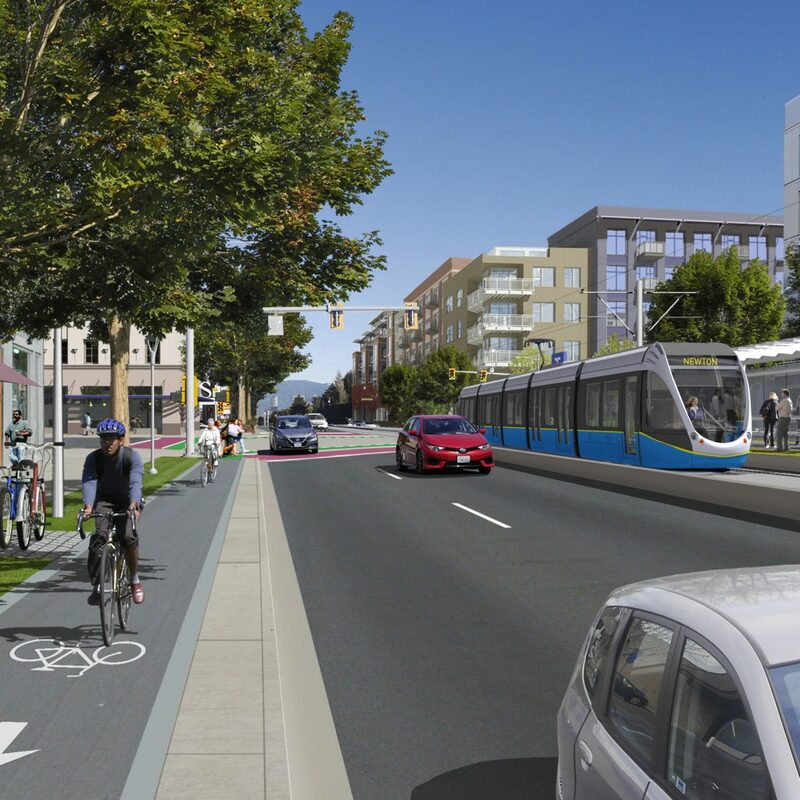 The street-oriented LRT will decrease commute times and will connect key Town Centres in Surrey. New cultural catalyst projects in public art, historic identity and the designation of the Cultural Corridor are underway. New amenities such as the City Centre Surrey Library and the Centre Stage in City Hall, which provides 200 seat venue used for live performances, have been developed. Future cultural catalyst programs such as the interactive Art Gallery near City Centre (IAM Theatre) and Performing Arts Centre will promote arts making the area more vibrant and attractive to people looking to move in the area. The City of Surrey’s economic strategy has policies conducive to economic growth such as cheaper commercial rent, smaller leasing costs, lower land prices and shorter average wait times for building permits. The Film Industry has been expanding at a rapid rate in Surrey. City Hall reports that 5,697 residents have earned $88.9 million in 2016. Numbers are increasing as Surrey is attracting more productions to the City. The City of Surrey has issued 189 permits in 2017 for filming. About 46% of productions are for TV shows, examples include Supernatural and Good Doctor which have been filmed in Surrey. Skydance Media, the Hollywood production company responsible for Star Trek and Mission Impossible movies, is opening a major film studio complex in the former Pacific Newspaper Group printing-press building in Surrey. The new studio will be initially used for production for Alternate Carbon, a Netflix science-fiction series.